So, in 2019, have we made HR work for our workforce? 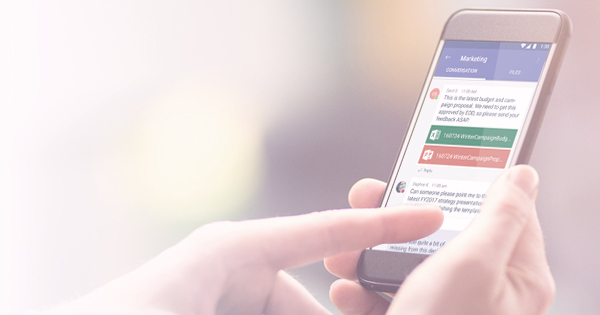 We have certainly made it easier for people to interact with HR. The cloud solutions introduced a mobile experience and enabled employees and managers to get things done in a straightforward way. We are able to use data on a broader scale than before, to understand the workforce and predict what comes next. But while we were busy moving to the cloud, we missed the opportunity to reimagine HR for the 21st century. Meanwhile, commercial companies capitalized on newer technologies and the online consumer experience has become the norm against which HR services are measured. In my 2013 article, I referenced a book written by Donald Norman and called “Year of the Invisible Computer”. He predicted that technology would become invisible to the consumer. And he was right: do you ever think about how much computing power you carry in your pocket? Your mobile is a way to go online quickly and easily and get things done. Most people don’t even think about that technology let alone understand it. With all the innovation available we must ask ourselves: have we really succeeded in reimagining HR so employees can get HR things done quickly and easily and get on with their job? Have we made HR invisible? 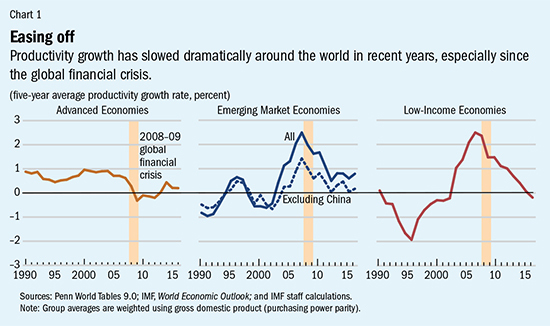 In all economies, workforce productivity, as measured in output per hour worked, has slowed and economists can’t agree on the cause. Falling productivity is a strange paradox: better technology and advances in efficiency should have increased productivity, but despites some spikes, average productivity continues to decline. Even the arrival of robots and artificial intelligence is not changing that fundamentally. And there is no indication that this trend will change direction. To help employees become more productive through collaboration, businesses are increasingly moving to productivity platforms. Microsoft Teams has over 420,000 corporate customers, and 87 companies out of the Fortune 100 use Teams. Microsoft doesn’t disclose user numbers. G-Suite doesn’t either and reports 5 million businesses are paying clients. Slack has more than 10 million daily active users, and Workplace by Facebook has 2 million users. All vendors report double digit growth and are rapidly extending their workspace solutions. As example, Microsoft is merging Skype into Teams and allows 3rd party apps to be added to Teams and extend functionality. When it comes to employee productivity, the trend is clear: the workspace will be the one-stop-shop where people come to complete their tasks, collaborate, and spend their work days. So where is HR? That is indeed the big question: why introduce another experience platform when employees are moving to the corporate workspace? If you want to help solve the employee productivity problem and make work life easier, the employee productivity platform is the employee experience platform. HR (and other support functions) must stop thinking in terms of functions and instead, think about how to help employees get things done quickly and timely. And that means supporting them where they are, not asking them to come to you. There is another reason to move HR solutions into the background and not bother users with yet another interface to navigate. The median tenure is now down to 4.2 years, and for workers aged 25 to 34 it is only 2.8 years (US Bureau of Labor Statistics). If most people only stay with the company for a short time, we should not design HR support with long term careers in mind. That will become the exception. We should not give new employees a company-specific experience layer to navigate, but instead enhance the workspace employees are familiar with, so they can quickly get up and running. Now wouldn’t that improve productivity? I am sure you have contacted a commercial service center with a question. Most companies allow you to use your channel of choice, meaning the App you’re already use eg Whatsapp, WeChat, QQ, Viber, Telegram, to make it easy for you to connect with them. They know it’s more beneficial to be where you are instead of asking you to come to them. 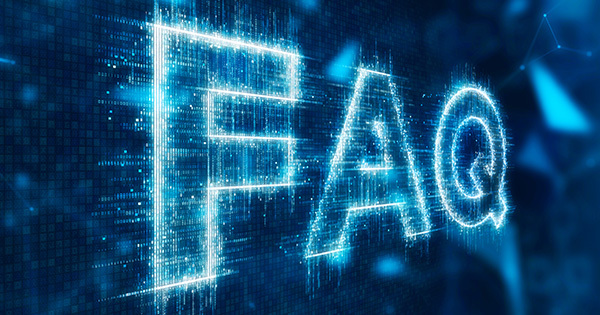 When an employee has a question about pay, expenses or network access, do you connect with them via their channel of choice? Or is it really yours? While employees might have to use Skype (or other) messaging at work, they are increasingly using personal messengers like WhatsApp to communicate with others. While that was considered a private channel before, today, I have personal and professional chats on WhatsApp, and so work/life has meshed. And I don’t mind because it’s so much easier than switching back and forth between tools: it increases my productivity. Reimagining HR for the 21st century workforce requires a design thinking approach: we must show empathy with our employees, and what they are trying to do. We must think in terms of ‘seamless’ and ‘unobtrusive’ and make HR an integrated part of the work environment instead of introducing a new platform. We have the technology to do so. When helping employees solve issues, we should be where they are. For HR, that means meeting employees in the company workspace or connect through a channel of choice, not introduce a new Experience Platform and expect employees to go there. HR Technology vendors must start to rethink the user experience and integrate with workspaces and messengers, and HR service providers must think how to design a seamless service experience from within these environments. And while you are reimagining HR ask yourself if it matters to an employee to know what kind of questions (HR, Finance and IT) they have or how they get answered? If we are trying to increase productivity, employees just know need to know where to ask any work-related question. Intelligence in the background ensures they receive the correct answer. And so, when you are design thinking 21st century employee support, think in terms of all work-related questions an employee might have: Think ‘AskMyCompany’ instead of ‘AskHR’. How do you bring HR services into the workspace? You start by bringing chatbots and artificial intelligence together. This allows you to deliver enterprise services the way they are supposed to be: simple, intuitive, and engaging. Bots can change many use cases into user friendly interactions which are effective and timely. You can integrate these bots in the workspace. 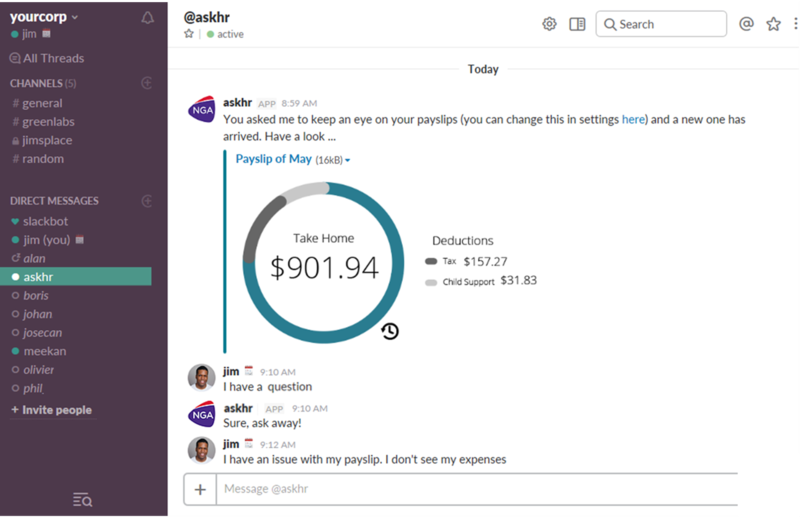 As example, in the illustration below the bot alerts the employee the moment the payslip is ready to be shared, and in the Slack workspace where the employee collaborates on a project. When a new message arrives, the employee can quickly check it. In this case, something doesn’t seem quite right, and the employee can ask the question without ever leaving the productivity environment. There is a need for simple, automated, and artificial intelligence powered interactions that can facilitate real-time feedback, and that’s where bots can add value. Bots can easily be integrated into the existing productivity platforms that businesses already use, in order to give an in-app experience to its users. In doing so, the productivity platform becomes the experience platform, without any need to introduce another platform. 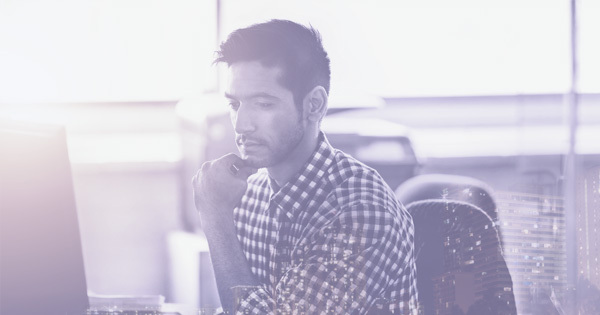 It’s time to reimagine HR for the 2020s and capitalize on the advantages that modern, consumer-grade technologies enable. And that brings me back to the original call to action: when we reimagine HR, let’s think how we can make HR invisible. Let’s design it with the user in mind and focus on the channels they like to use. This should not be about HR, this is about business productivity. We need to improve the user experience in a way that works for them and interact with employees in the space where they work, so they can easily get things done. The only way to achieve that is to seamlessly integrate HR in the new workspaces. Today’s technology gives us a real chance to make HR invisible. Let’s not waste it.